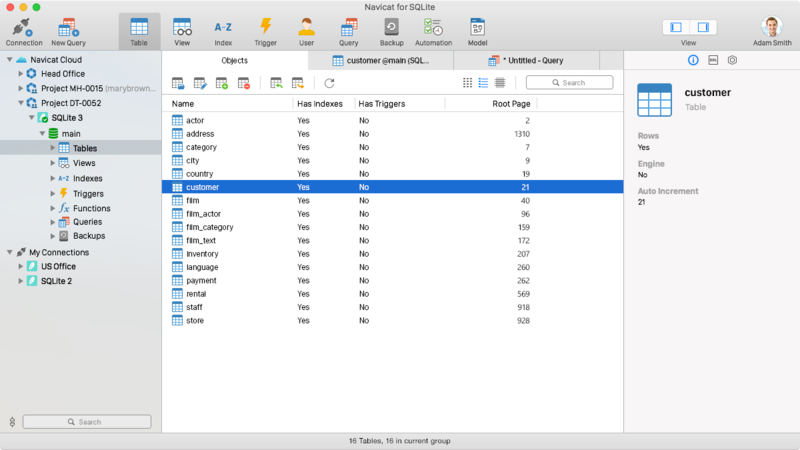 Navicat for SQLite 12.0.24 – GUI allowing administration of SQLite databases. Next story PhotoDesk 4.1.6 – Instagram client for photo sharing. Previous story Tomates 8.0 – Effective work and rest management. Navicat Premium 11.2.13 – Combines all Navicat versions in an ultimate version. Postico 1.0.4 – A modern PostgreSQL Client. Navicat Premium 12.0.13 – Combines all Navicat versions in an ultimate version.